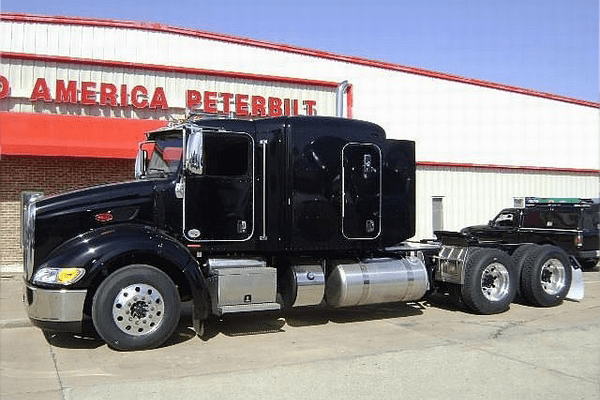 All truckers care about efficiency of their vehicles, but the looks are also important — that is why today we are introducing you the list of the most beautiful black trucks for sale. We have looked through our entire base of popular commercial vehicles and chose the very best of them. Of course, we also took into account the technical specifications of every model to make sure that it deserves a place in our rating list. 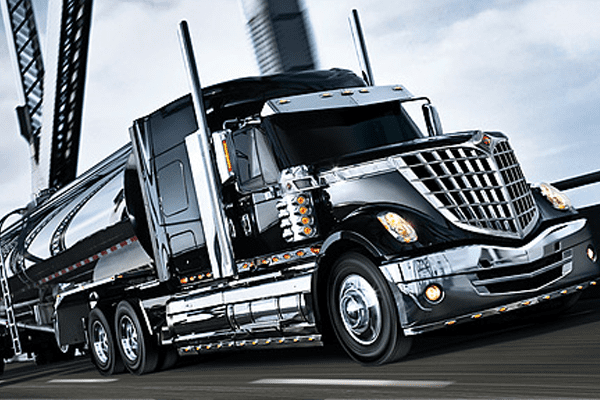 If you really like shiny black trucks, then make yourself comfortable and enjoy this article. This is, by the far, the most gorgeous truck we have ever seen. Look at it sleek and efficient design! It is beautiful from both inside and outside. Its stylish bumper, hood and grille provide significant fuel economy while having a stunning appearance. This beauty can withstand up to 60 thousands of pounds thanks to powerful 600 HP engine. 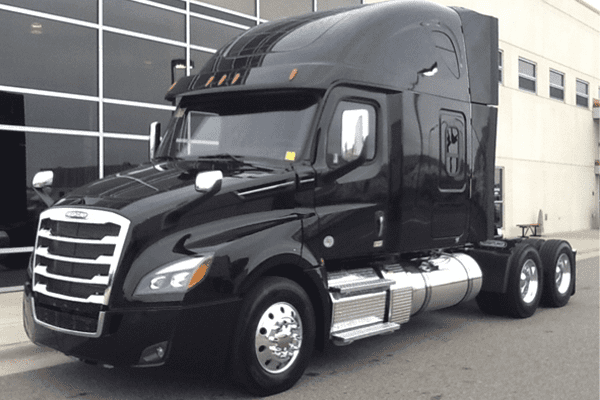 Another Freightliner truck, 122DS, offers impressive GVW of 92,000 lbs and is amazingly safe. Company engineers made this giant truck very easy to drive thanks to a large windshield and clever design. Even a novice trucker should be able to easily handle it. 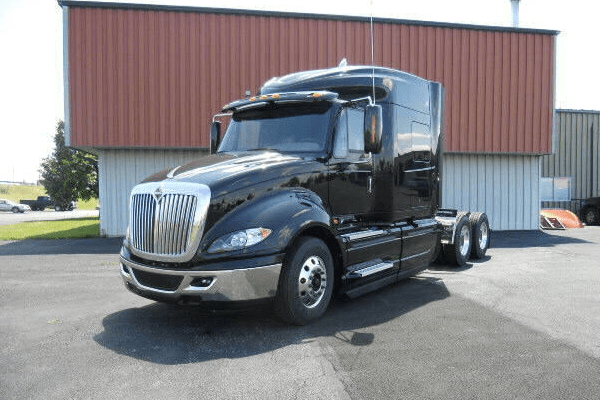 This is a classic International model with the improved design that features better mirrors and side windows with increased visibility, beautiful chrome vertical exhaust pipes and shiny aerodynamic grill. Its legendary engine CUMMINS X15 produces up to 605 HP and 2,050 lb.-ft. torque. 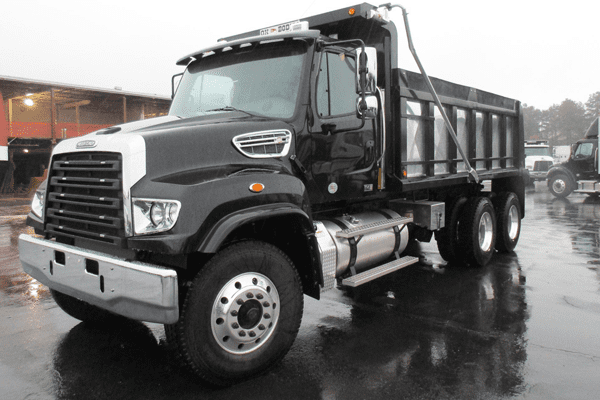 It is a great medium-duty model by International with a GVW range from 32,000 to 60,000 lbs. We especially like its sleek headlights that look awesome during the nighttime. This state-of-the-art vehicle features improved airflow and beautiful LED lighting at the front end. 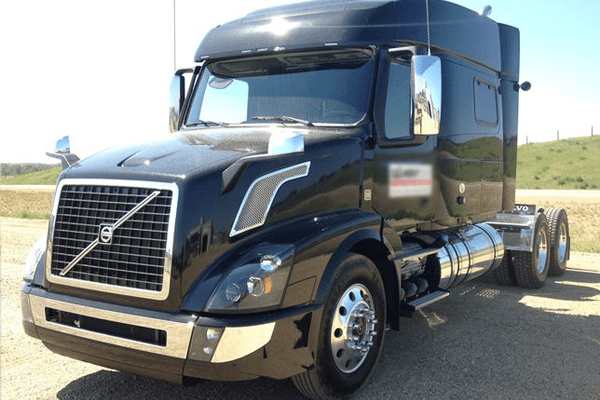 The truck is provided with a powerful 325-425 HP engine. If you are looking for black trucks for sale then this is a pretty good option. 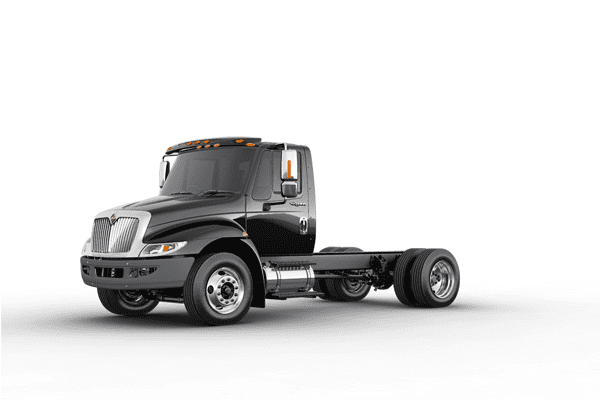 Comfortable heavy-duty truck with efficient transmission and super strong chassis. It is a good vehicle that looks great in black. 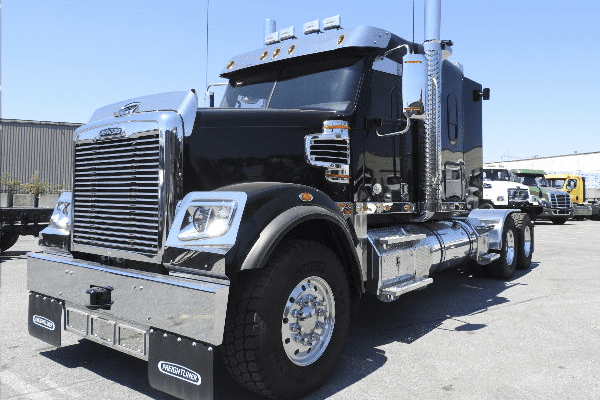 Freightliner 114SD is a great tractor with convenient back-of-cab platforms and stylish shiny bumper. It offers a GVW limit of 92,000 lbs and can be purchased with either manual or automatic transmission. We like its simple, but cool design. This model combines fuel efficiency, maneuverability, and safety in a beautiful shell. It is a great model for those who have been looking for black trucks for sale.